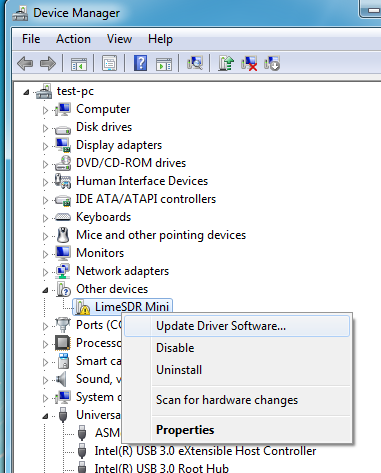 To install D3XX drivers for an FTDI device under Windows 7, 8, 8.1 and 10, follow the instructions given below: Connect the device to a spare USB port on your PC. 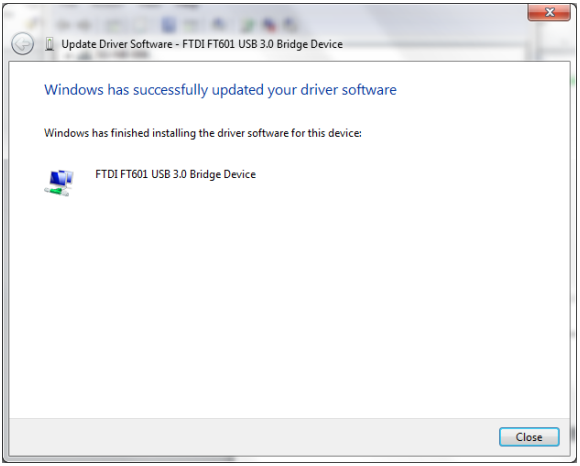 If no suitable driver is automatically found via Windows Update, then user should manually install the driver. To manually install the driver, follow the procedure given below. 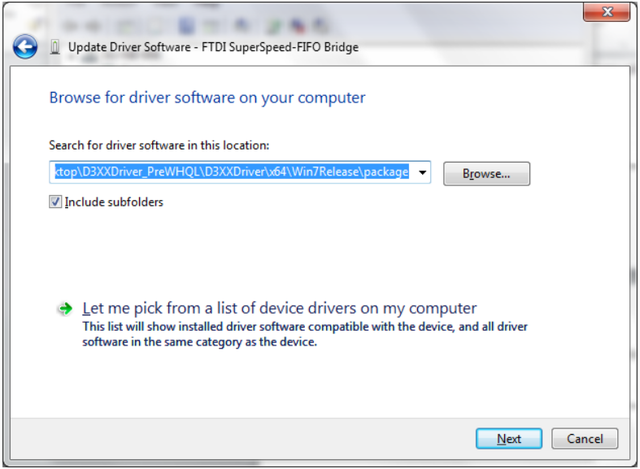 The D3XX Drivers may be downloaded from the following link – http://www.ftdichip.com/Drivers/D3XX.htm Press the Windows Start button to bring up the start menu and select ‘Control Panel’. 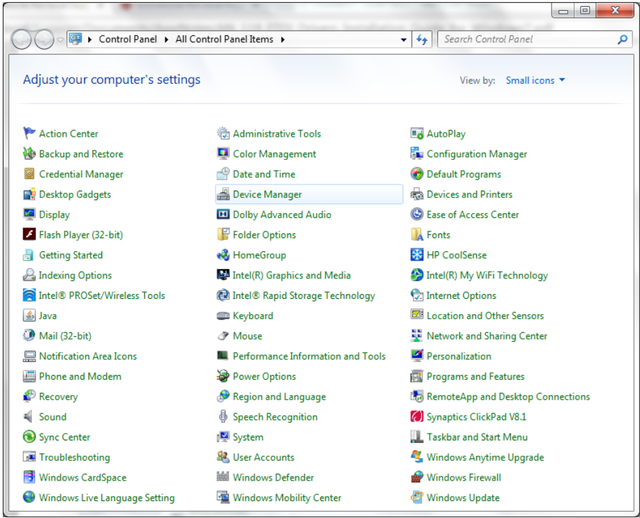 From the Control Panel window select “Device Manager”. In the Device Manager window there will be a device under Other Devices with a yellow warning symbol to indicate a problem i.e. no driver installed. The text next to this device will depend on the device attached. In this example the device was a “LimeSDR Mini”. 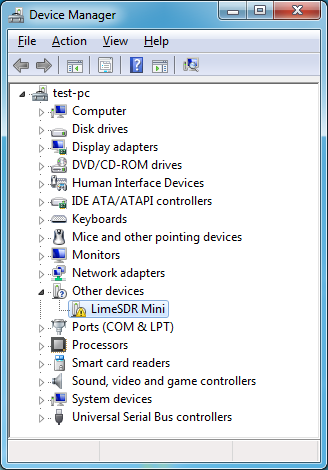 Right click on the other device (LimeSDR Mini) to bring up a menu as shown below. 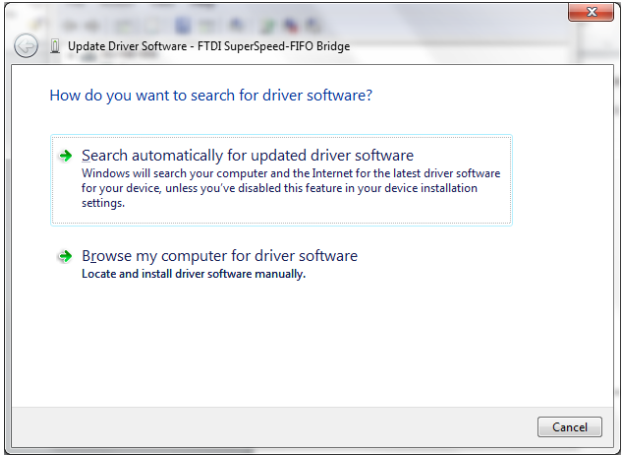 From the displayed menu, select “Update Driver Software...” This then displays the option for an automatic search or a manual search. Select the second option to browse manually. In the address box put the exact location where the drivers have been saved to. This may be on a CD or in a folder on the PC. It is not necessarily the exact same location as shown in the screenshot. The drivers could have been saved anywhere of the users choice. Upon entering the address, click “NEXT” to start the installation. A “Windows Security” dialog box may be displayed. Click Install to proceed with the installation. The installation progress bar is displayed. 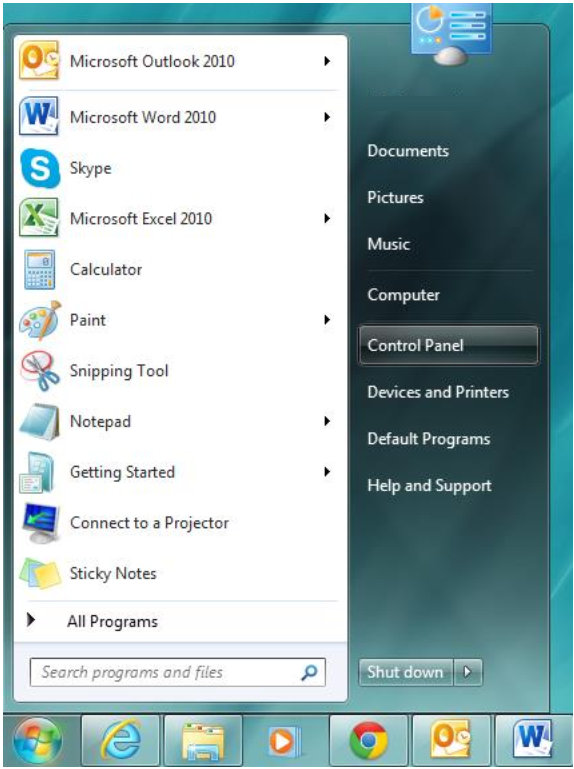 Upon successful installation, a window indicating the same is displayed. Click on the Close button to go back to the Device Manager window. 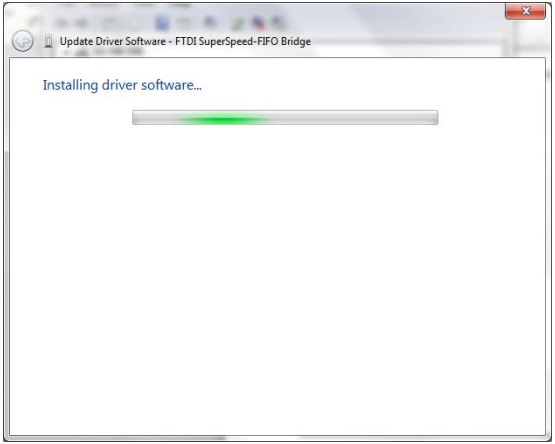 This time the Device Manager does not display the “FTDI SuperSpeed-FIFO Bridge” under “Other devices”. 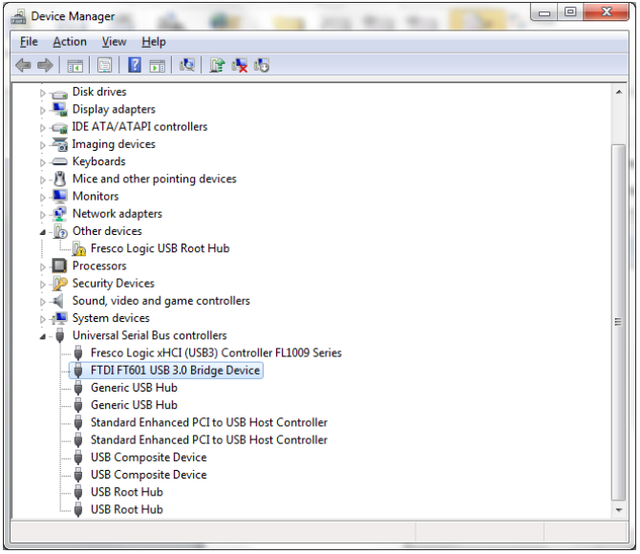 Instead an entry for FTDI FT601 USB 3.0 Bridge Device under “Universal Serial Bus controllers” is shown, which indicates that the installation is successful. The device is now ready for use.